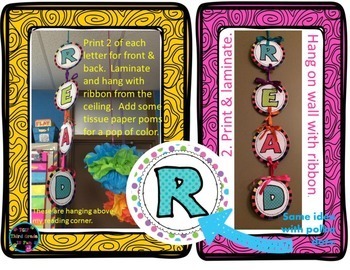 p. 3-9 Bunting Banner (Option #1) – READING or READ for display at the top of focus wall (or in your reading nook). UPDATED - Now this pack also includes: Author, Illustrator, Comprehension Skill, Comprehension Strategy, and Theme. p. 20-21 Blank templates(half page and whole page) for you to laminate. 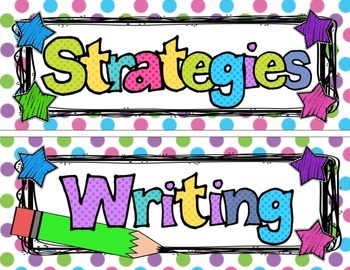 You can then use dry erase to write the story of the week, spelling skill, focus question, etc. and change every week. 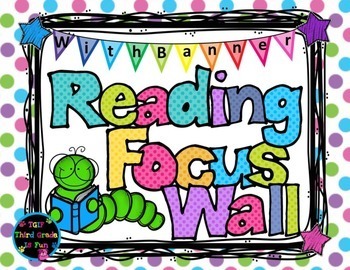 p. 22-28 Circular Banner (Option #2) – READING or READ for display at top of focus wall. I hope that this product is as helpful to you in your classroom as it has been for me. Back to School K- 8 Polka Dot Theme Welcome Banners, Name & Subject Tags &more. 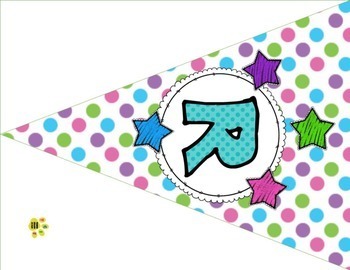 Daily Focus Headers/Banners for Kindergarten or Pre-K Pastel Polka Dots.